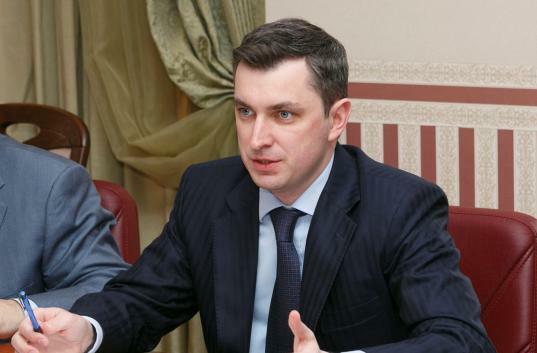 The head of State fiscal agency of Ukraine Igor Belous has informed about the preparation status to second laid of package of bills concerning tax system reform, which will be laid before the parliament be the Cabinet of Ministers. “We are currently working on bills so they could be laid before Verkhovna Rada again. The Government is studying most critical remarks from business representatives. Ministry of finance and State fiscal agency are holding more meetings with representatives of business league, business associations and experts. Working teams specialized in different field keep working on various aspects of tax system reform” remarked Igor Belous. According to him, they discuss questions which worry businessman the most, such as some restrictions on calculating gross diversion of enterprises who pay profit tax. They are also discussing the necessity of implementing the protection mechanism against new methods of tax evasion. They additionally discuss the method of using new tax policy which are aimed to compensate predicted loss of budget caused by liberalizing some provisions of Tax Code. The head of State fiscal agency agreed with entrepreneurs on possible inshadowment of excisable goods market because of proposed cancellation of small business checks. “Some bill’s provisions may be changed because we are not interested in migration of some sectors of economy in shadow or in worsening of business competition for legal entrepreneurs” Igorr Belous underlined. At the same time a head of State fiscal agency remarked that the idea which was laid into Governmental bills stays the same. It is an idea of simplification of tax system, tax rate decreasing, creating favorable conditions for business, getting economy out of a shadow. “After all discussions we will laid before the parliament renewed conception of tax system reform, which I hope will not evoke opposition from legal business” underlined Igor Belous.